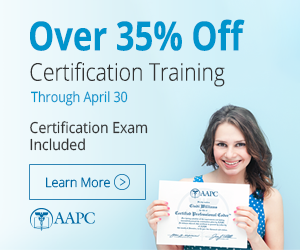 didn't pass CPC exam -What to do now? I just took the CPC exam yesterday and I don't feel that I passed. I ran out of time and just filled all the remaining spaces just so that I don't to leave anything unanswered. I felt that I took too long and did not manage my time properly. Thank you for your post; made me feel better and not such a failure. juju1958 have TAKEN THE TEST ONCE HAVE ONE FREE TRY ON MAY 12, IT BEEN A MINUTE GRADUATED FROM THE MEDICAL BILLING AND CODING CLASSES ON JAN 2012, WAS VERY EXCITED UNTIL I STARTED APPLYING FOR JOBS AND AND THEN THEY WANTED EXPERIENCE I NEED TOWORK IN PARTIME COMPACITY ON WEEKEND WITH AGENCY OR SOMETHING TO HELP ME GET TO WHERE i GET EXPERIENCE. i failed the first time with a 68% any help in how to study for the practice management? and is it the EXACT same test the second time? Any retakes for all certifications are completely different the second time around....and the third and so on. There would be no benefit to you in giving you the same exam. There are many different variations of each one. All are supposed to have the same level of difficulty though. I have fail the cpc exam twice !!! I have failed the CPC exam twice I have no prior experience in the medical field. I'm looking for and internship to help me better understand coding but I have had no luck even finding a hospital that will give me and internship. Can someone give me some advice please. I just failed the CPC exam I scored 69%. I'm very upset. I have the 2012 cpc study guide. Should I be getting the 2013?. Is there much difference in the two?. You were so close, you only missed it by one. According to the other posts, a lot of people only missed it by a few. Having taken it once, you now have the experience and know what to expect. That is valuable. Instead of doubting yourself, hopefully you'll realize you now have the inside track about what you could do a little better. Because you only need to do a little better to pass. It's great that we get two tries. I only got one try on my RHIT exam, but had told myself I would just take it to see what it was like. I had put it off for so long. I had taken that same type of computerized exam before for another license I have, and knowing "what to expect" about physically taking that test, really helped. Fortunately I passed the RHIT exam on my first try. I had studied but I was still surprised! I think my prior experience with a similar type exam really helped me. The APPC test is challenging but you have the ability to pass it based on how close you came to doing that. I bought the group of three 2012 AAPC practice exams and I'm also in an intense certification exam preparation course through a University Extension program (that makes me study). The 2012 practice exams are very relevant still with the course I'm taking and I'm using them to prepare me to answer questions on the certification exam faster. Did you really use your practice exam(s) and felt you mastered them? Best of luck to you on your second try!!! You have a good chance of passing. Thank you to the others who have posted helpful hints, I will use them! I co-taught a medical coding course at a local community college from September to March of this year. Relax and take a deep breath. You know what to expect, and you should also have information about your strengths/weaknesses on that first test. Continue to take the on-line prep exams, as often as you can. Reading about coding is about the dryest thing ever and may put you to sleep by the time you hit the third page, but review your study guide as well. Plan a strategy for your re-take. Do a quick scan of the exam questions when you start, and answer the ones you know best first. Then move on to the next group of "easier" questions. You only need to answer 106 of them to clear the 70% mark, but try to answer them all. You'd be amazed at how many people take this exam a second time. It's difficult material; that's why we get the re-take option. I didn't pass. I rescheduled for 9/28/2013 but I would like to change it to 11/9/2013 how do I do that? The practice exam was good but the actual test seemed harder. And it did not center around what I thought would be the arear of the test. What do I do? I need a new test to time myself one much harder? Are there any other tests?